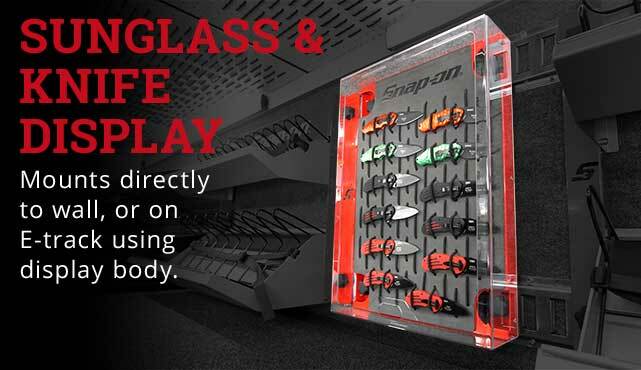 Sunglass & Knife Display – you asked, we answered. Mounts directly to wall, or on E-track using display body. Multiple Configurations Available. Call us for more details at 800-558-5986!